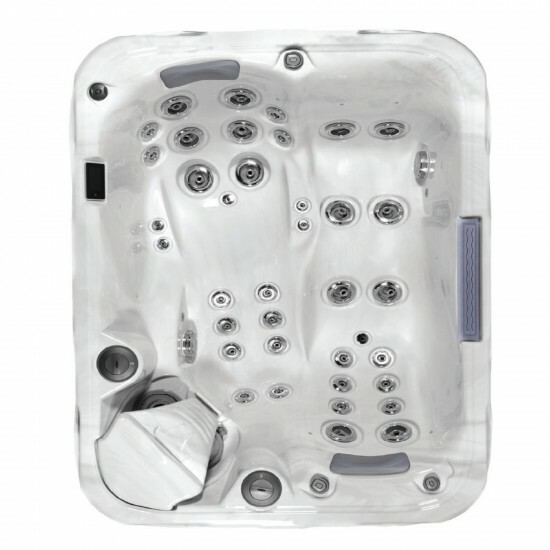 EQUIPMENT: 22 whirlpool jets, chromotherapy, heater (3kW), pumps 1 speed (3 hP), recirculation pump, cartridge filters (15m²), ozone system, headrest. 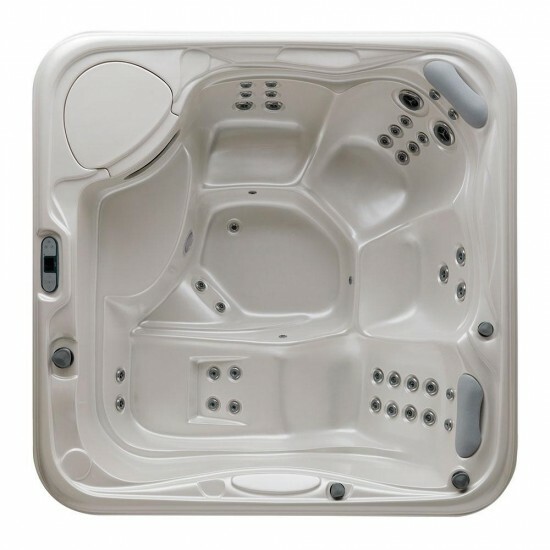 HAFRO MYLINE PLUTO MINI POOL 200 x 200 x 89 cm, 2 reclining places, 3 sitting places The Pluto spa offers plenty room for up to 5 bathers, even fits on smaller places. 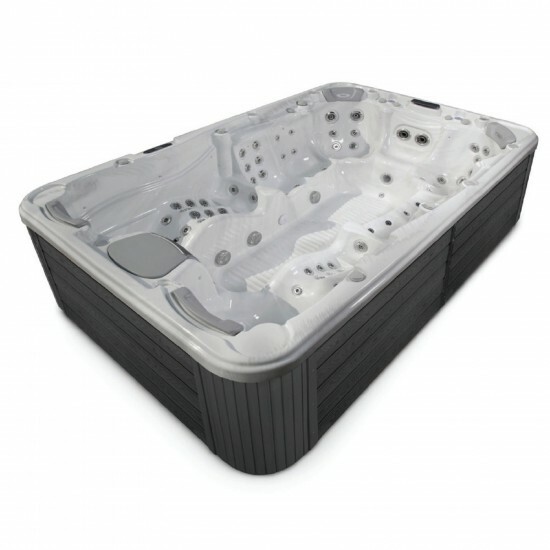 It has two lounge beds, one with mySEAT™ solution. 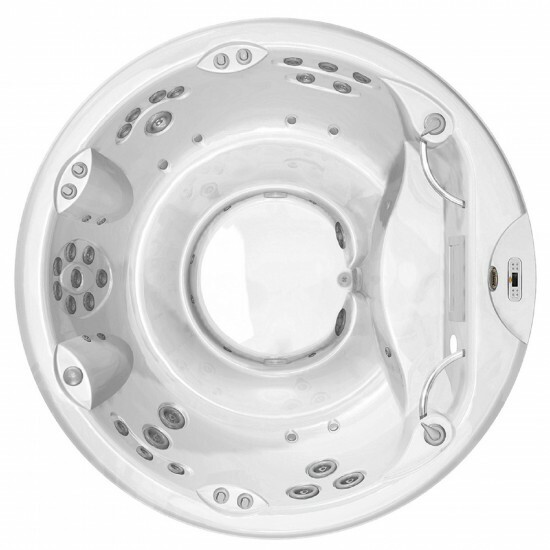 The Pluto also includes myJETS™ for reliefing pain in shoulders and neck. 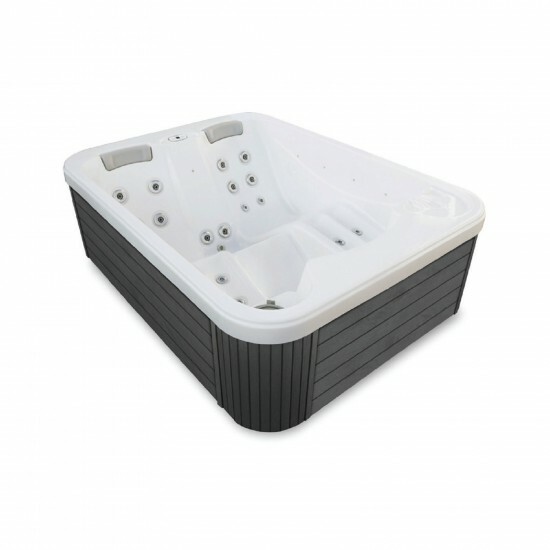 HAFRO MYLINE SATURN MINI POOL 230 x 230 x 88 cm, 2 reclining place, 3 sitting places spa Saturn is our mid sized model but packs more than enough power for 6 bathers at once from its 49 jets and dual pump system. 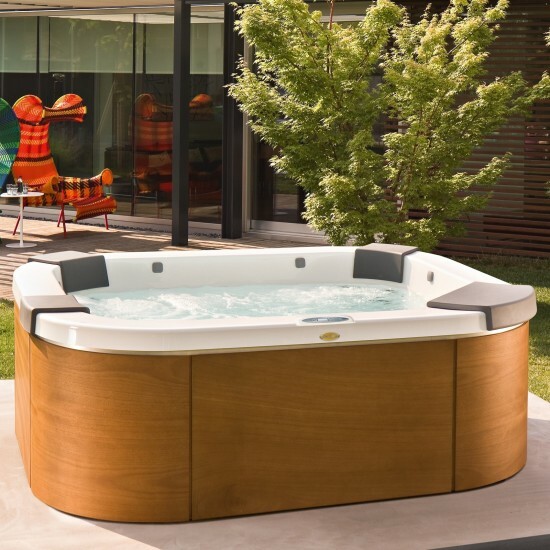 Just settle back into our exclusive mySEAT™ lounge and relax, or enjoy a invigorating massage from one of the intensive therapy seats. 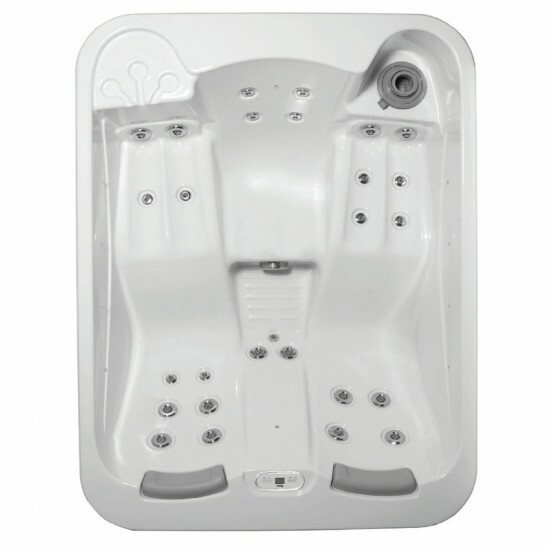 HAFRO MYLINE SUN FAMILY MINI POOL 190 x 190 x 75 cm 2 reclining places, 3 sitting places Choose Sun Family spa if you have limited space. 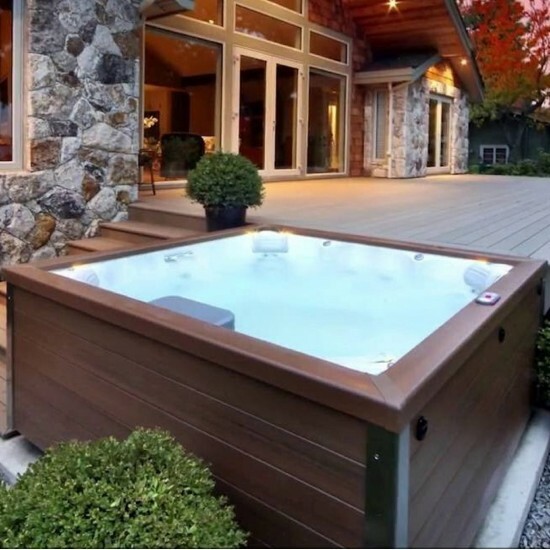 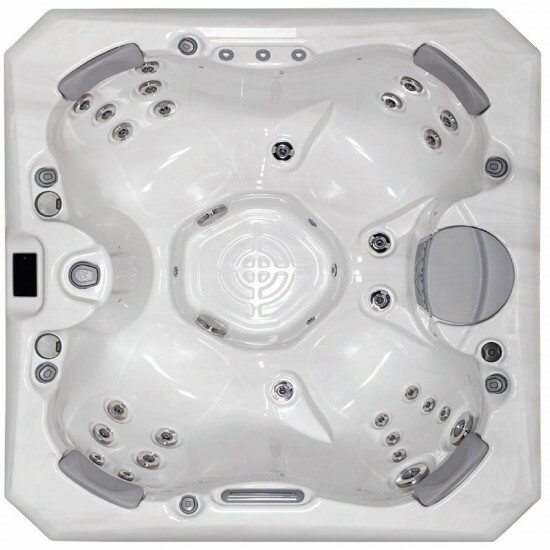 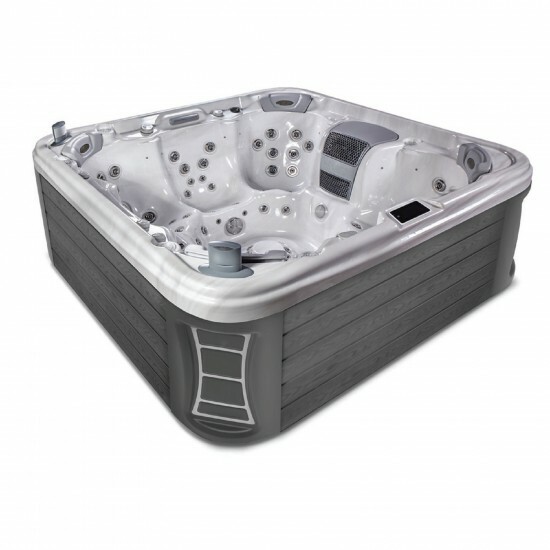 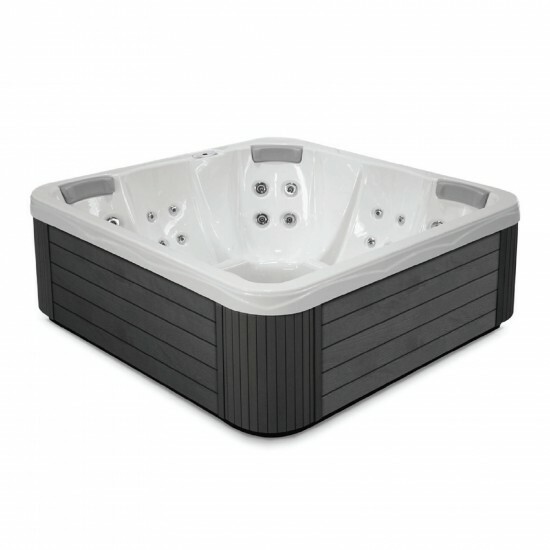 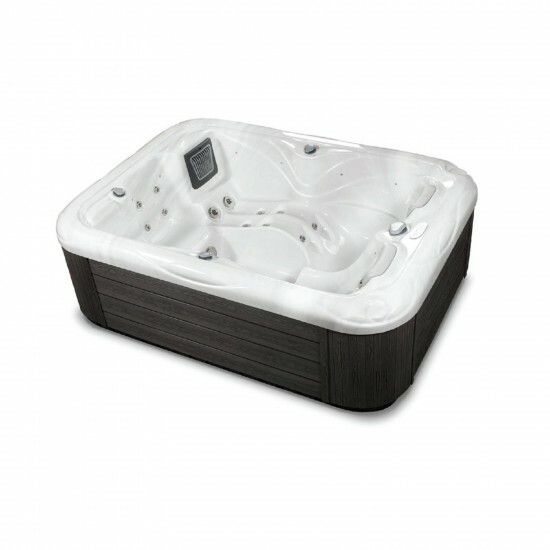 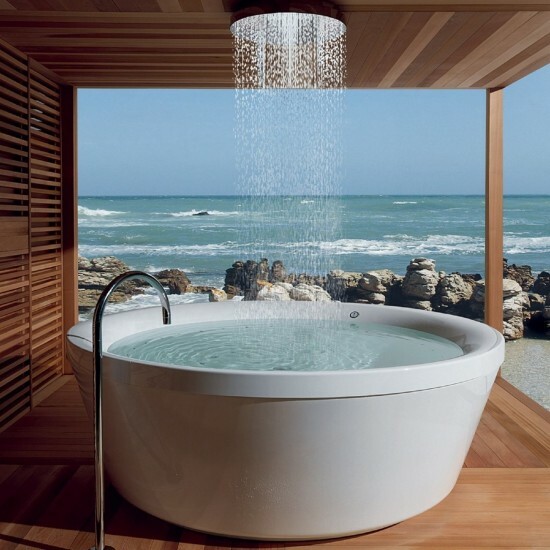 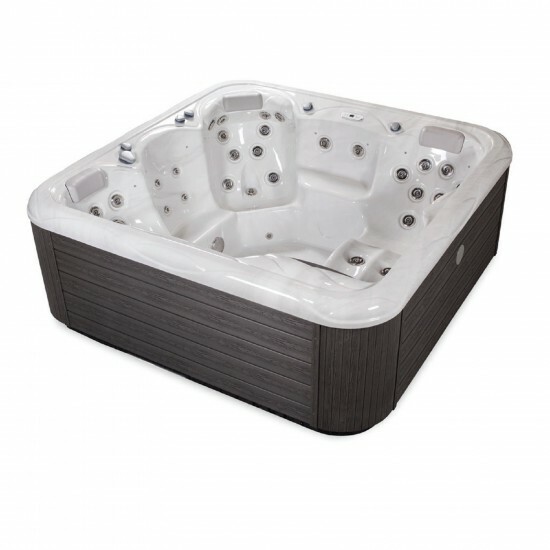 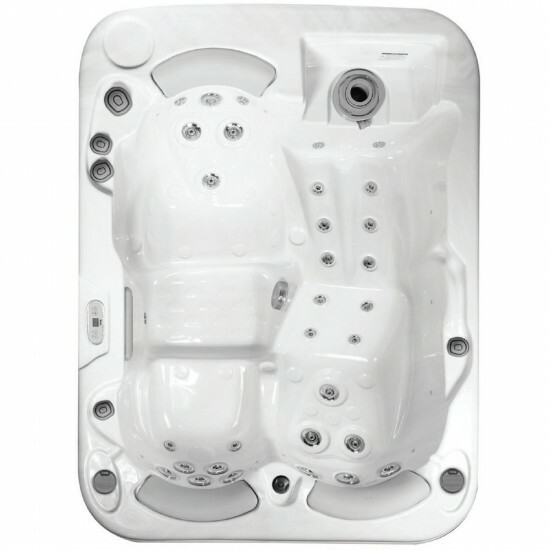 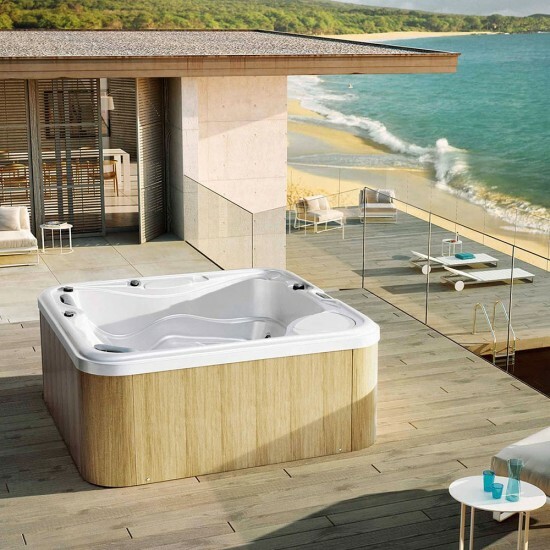 While this small size model provides the same hydrotherapeutic advantages as larger hot tubs. 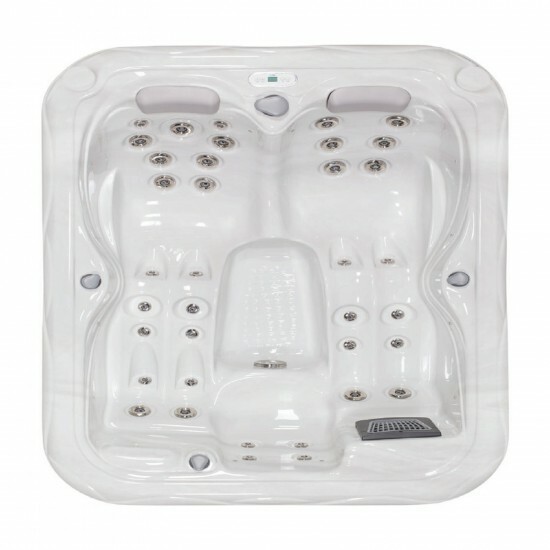 36 massage jets ensure the comfort of users. 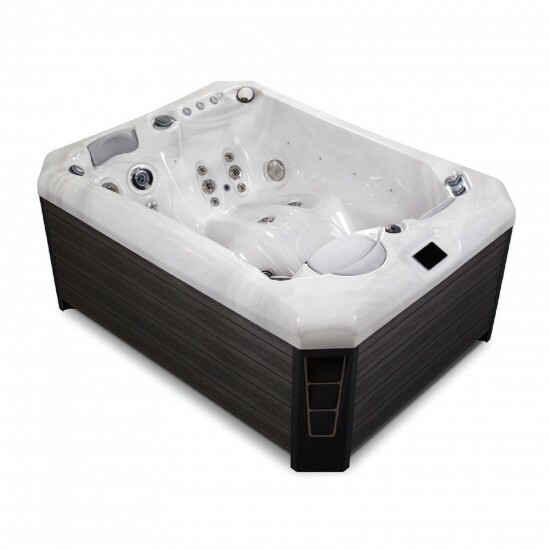 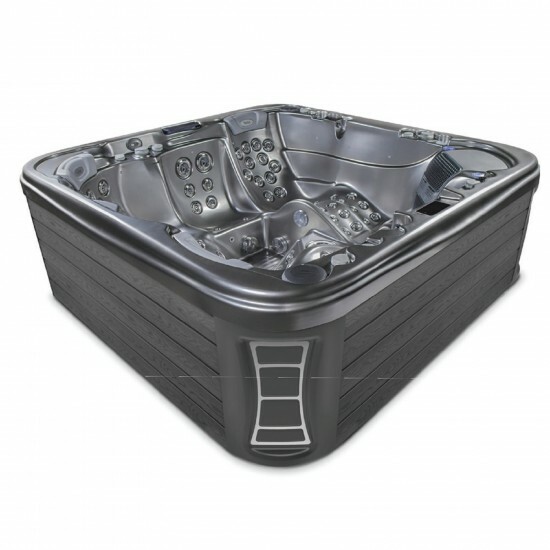 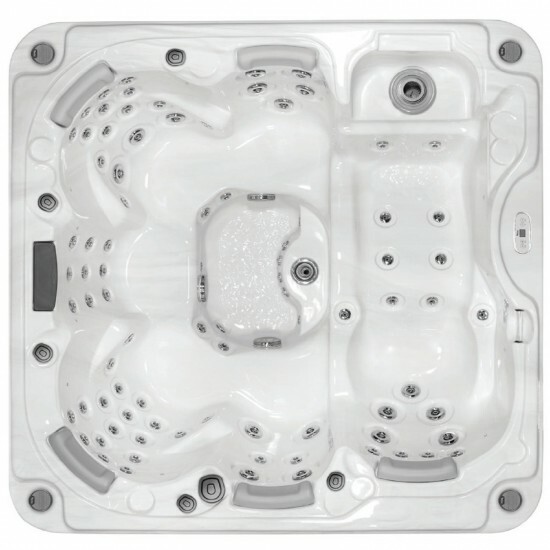 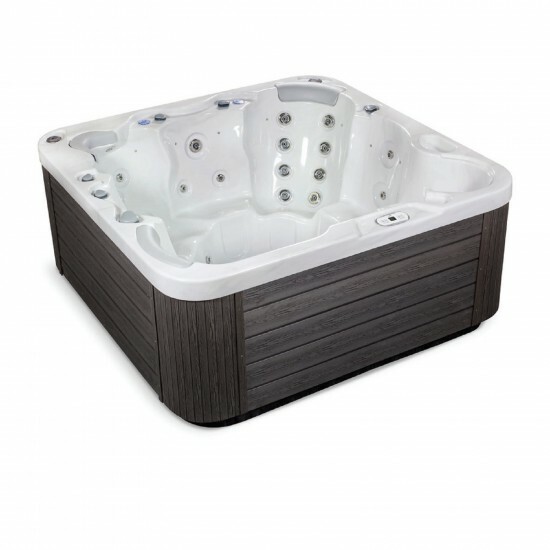 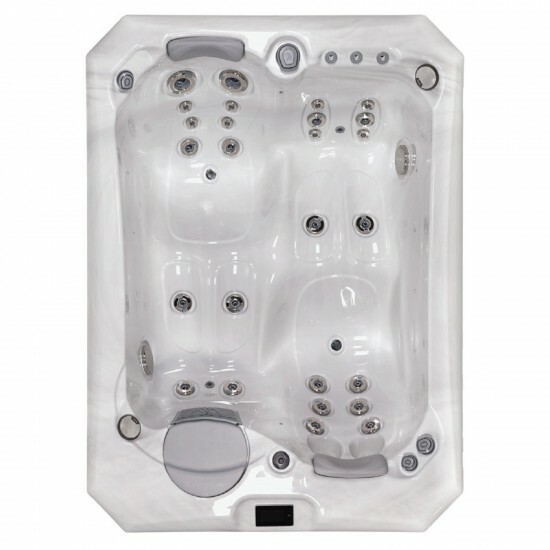 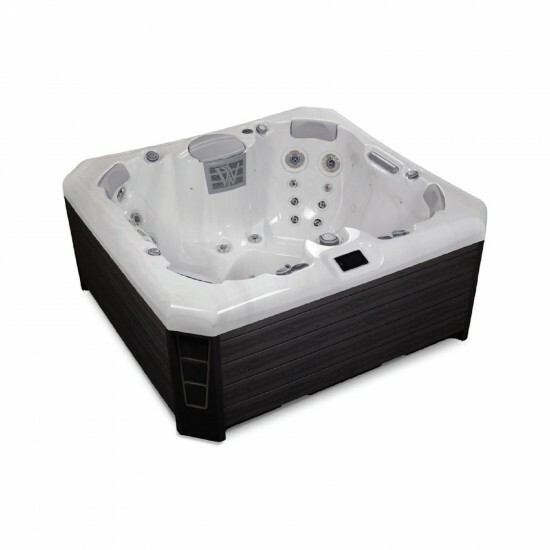 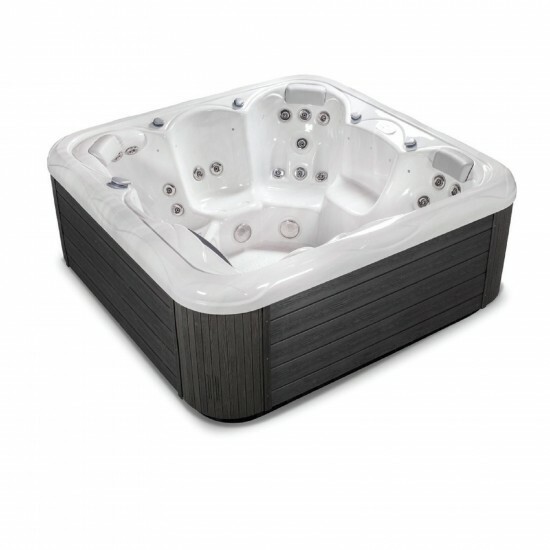 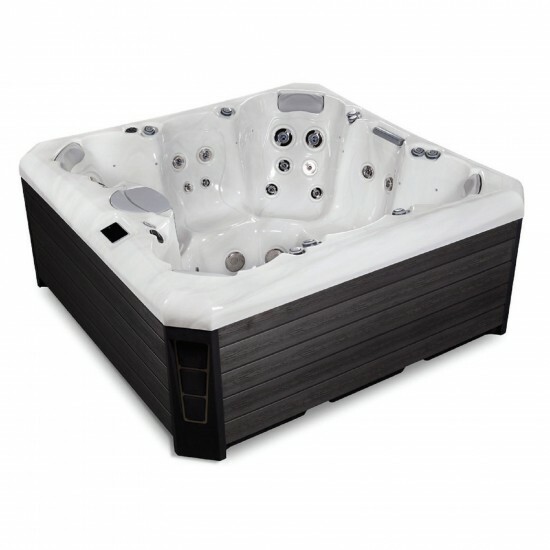 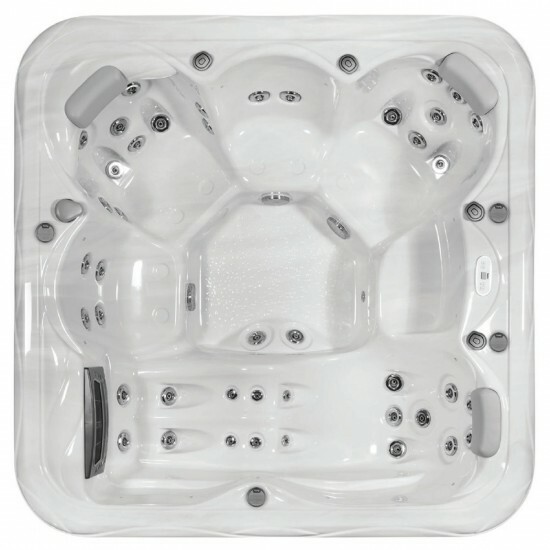 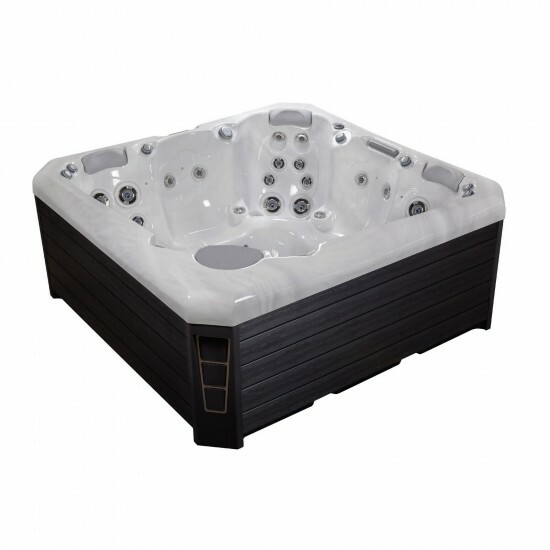 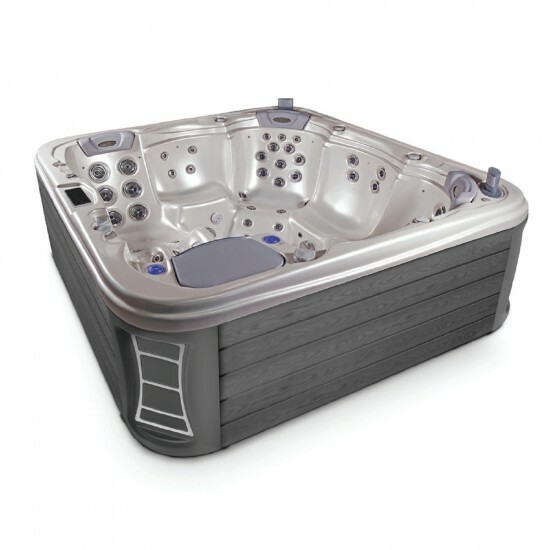 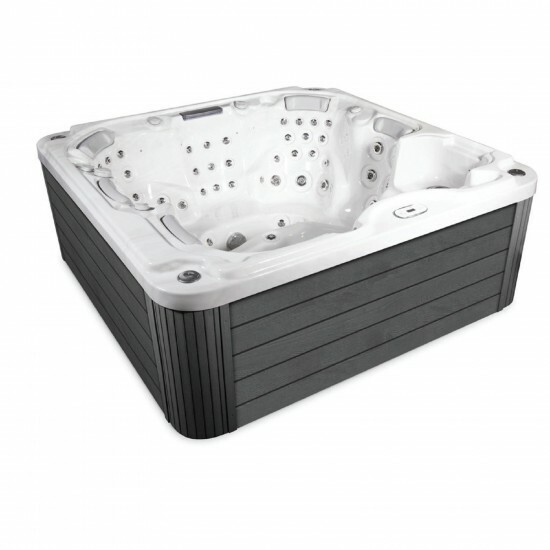 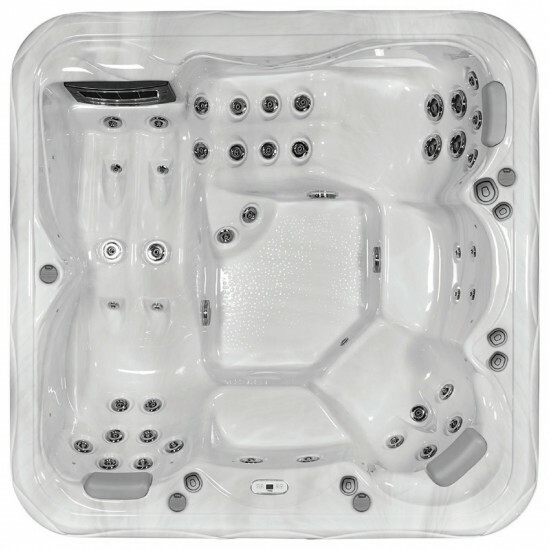 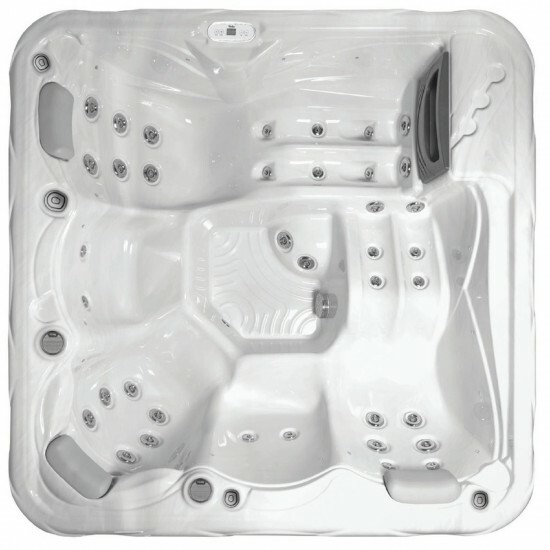 HAFRO MYLINE VENUS MINI POOL 215 x 215 x 86 cm, 1 reclining place, 5 sitting places The spa Venus have 49 jets and dual pump system. 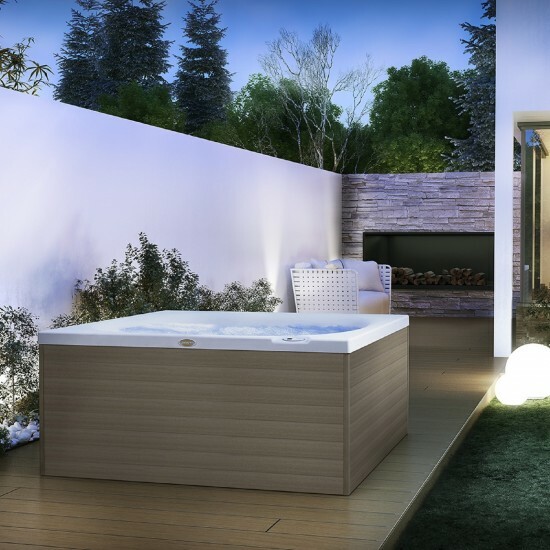 Just settle back into our exclusive mySEAT™ lounge and relax, or enjoy a invigorating massage from one of the intensive therapy seats. 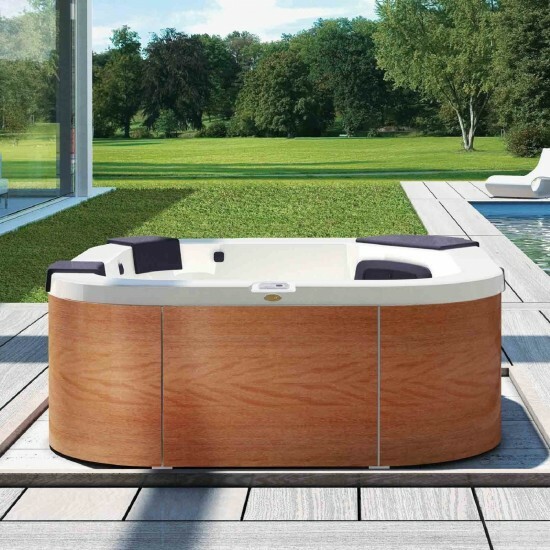 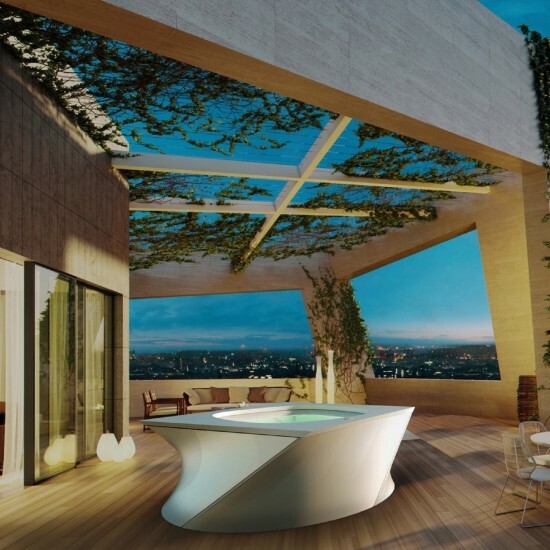 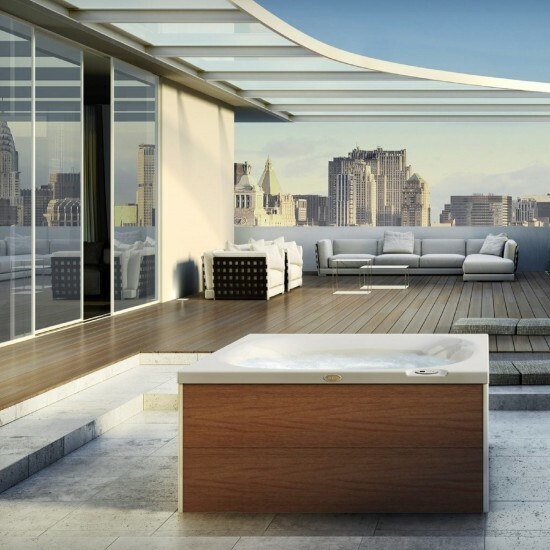 HAFRO CITYLINE ACAPULCO DEEP-IN MINI POOL Diameter: 240 cm, 6 sitting places The deck-level water creates an exceptionally unique ambience, so you can easily feel the luxury of the wellness section of a 5-star spa hotel in your own home. 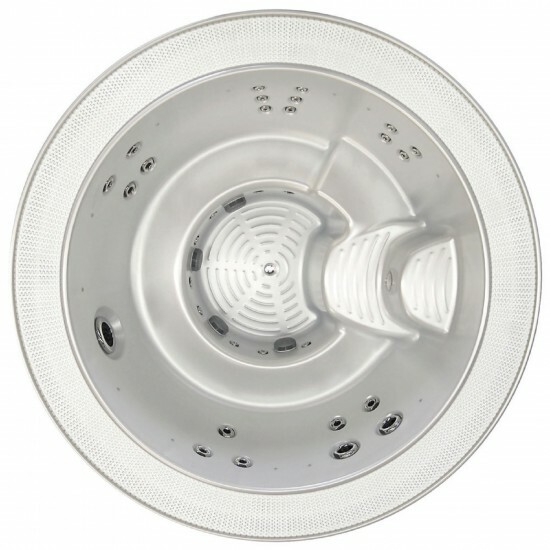 The central lighting and exclusive colour therapy with 12 LED spot lights as standard. 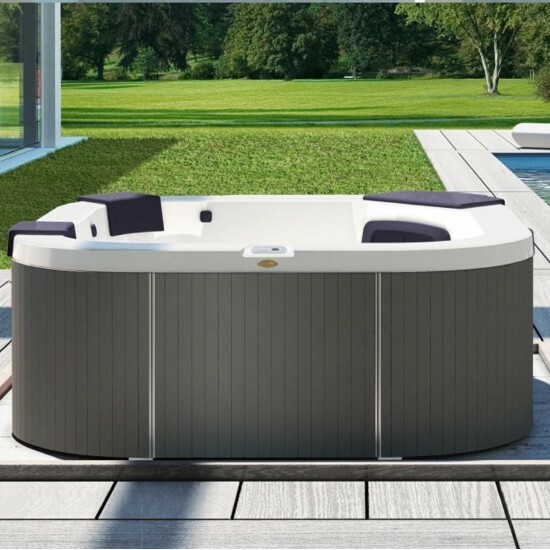 HAFRO CITYLINE ELBRUS MINI POOL 218 x 218 x 90 cm, 7 sitting places The CityLine Elbrus spa combines a modern look with conventional values. 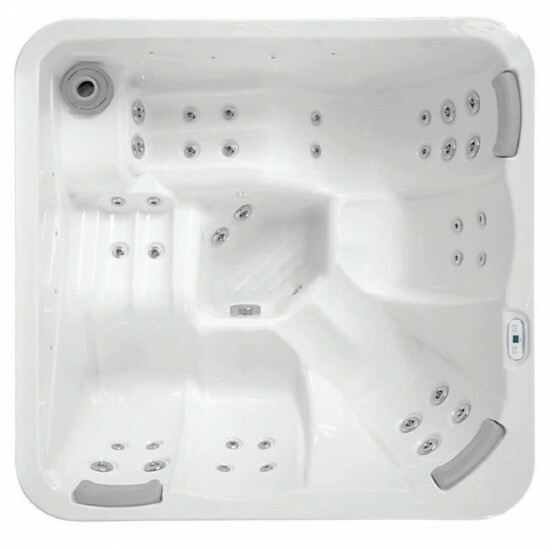 It has seven seating places, each with different massage systems. 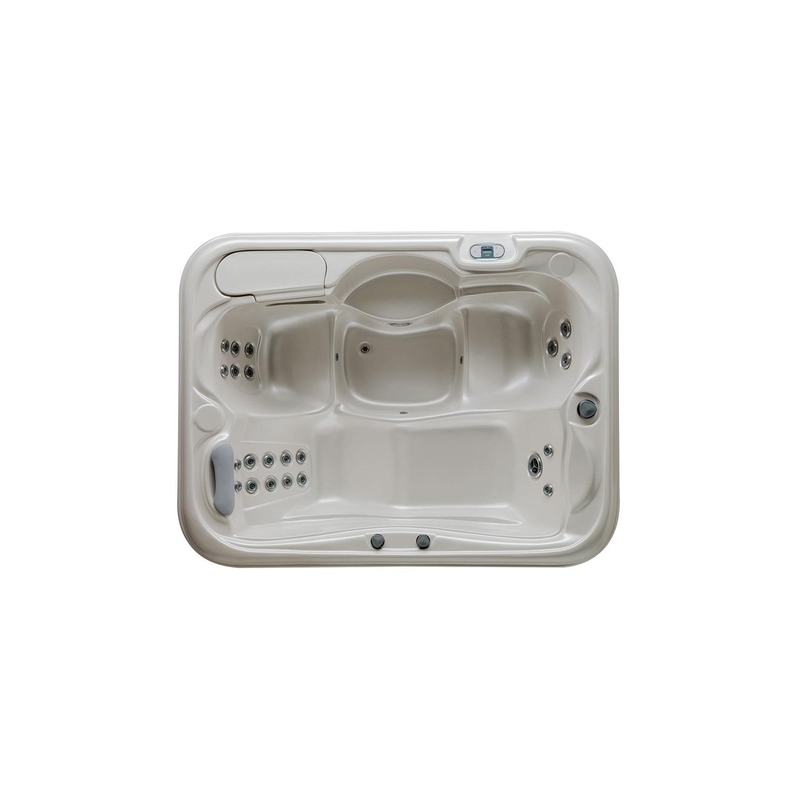 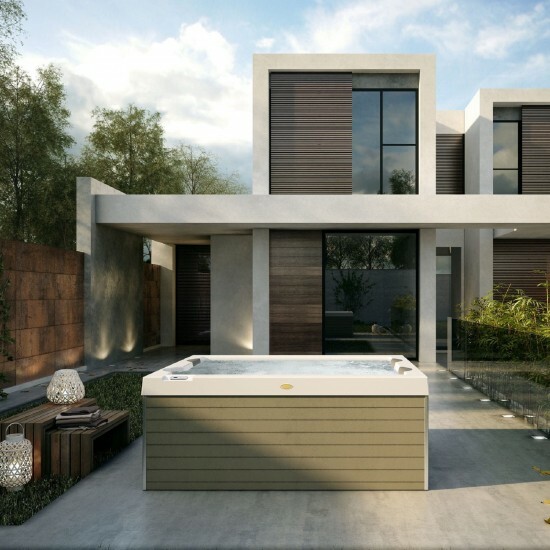 HAFRO CITYLINE MALAGA MINI POOL 218 x 218 x 90 cm, 1 reclining place, 5 sitting places The Malaga spa with its innovative solutions provides a relaxing massage after a busy day. 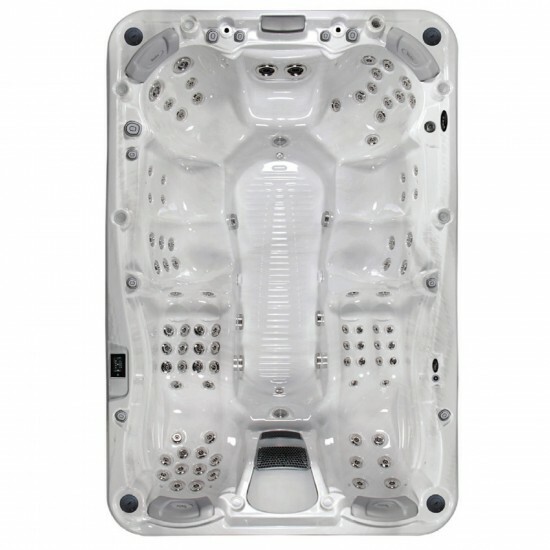 HAFRO CITYLINE MANHATTAN MINI POOL 210 x 153 x 85 cm, 2 reclining places Manhattan spa was developed for an overall massage experience. 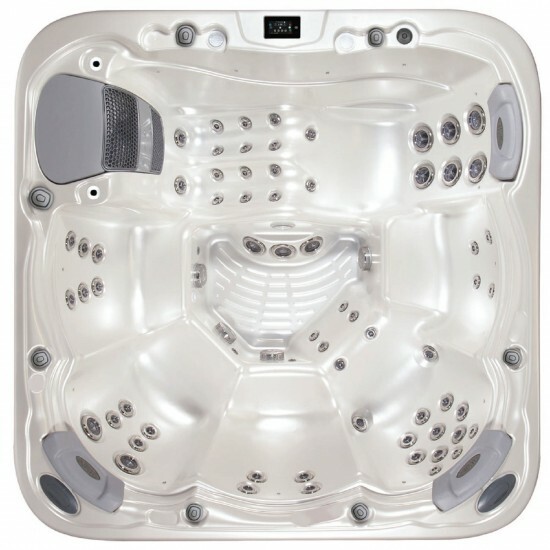 It has triple lighting fountain jets providing an exciting effect. 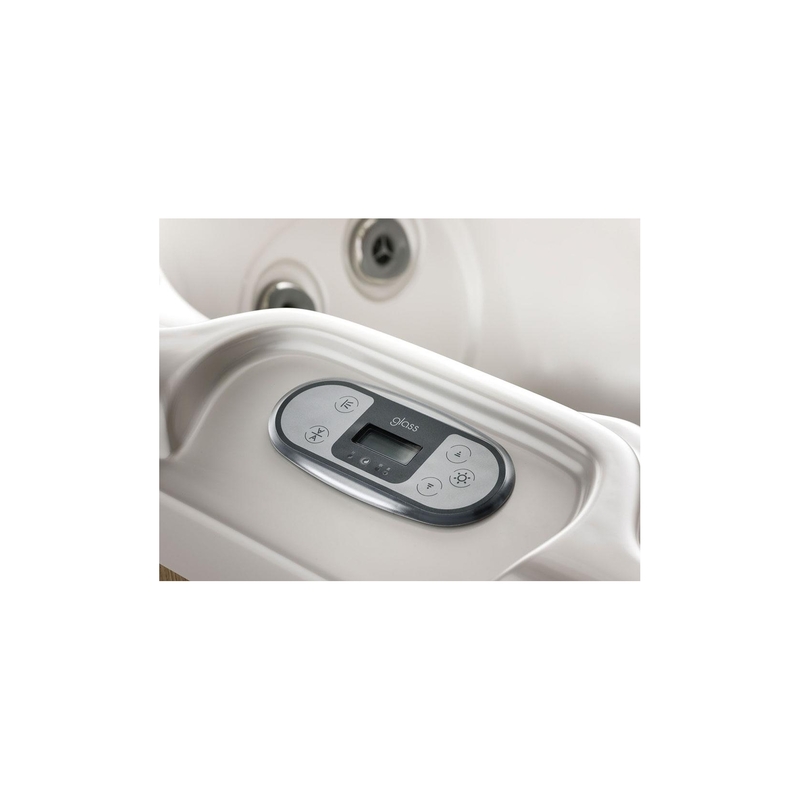 It contains a Touch-screen control. 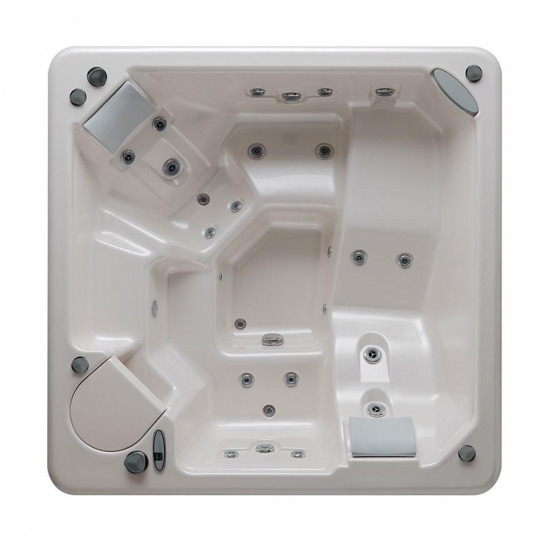 HAFRO CITYLINE MARBELLA MINI POOL 190 x 180 x 85 cm, 4 sitting places Marbella is a compact yet well-equipped spa, the best place to be with a company of good friends. 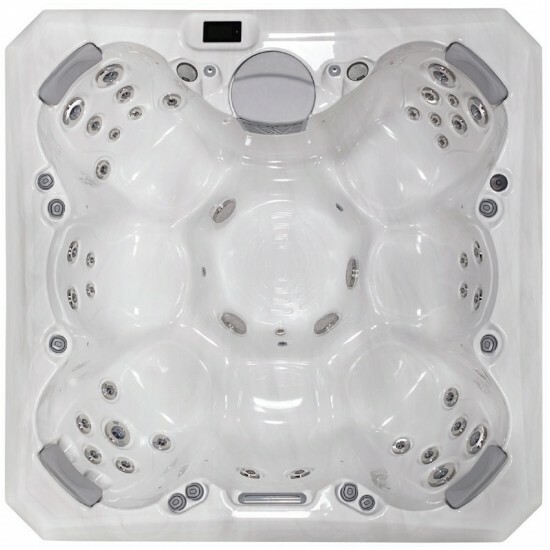 It has four sitting places, all with different massage points, triple lighting fountain jets, and lighting waterfall too. 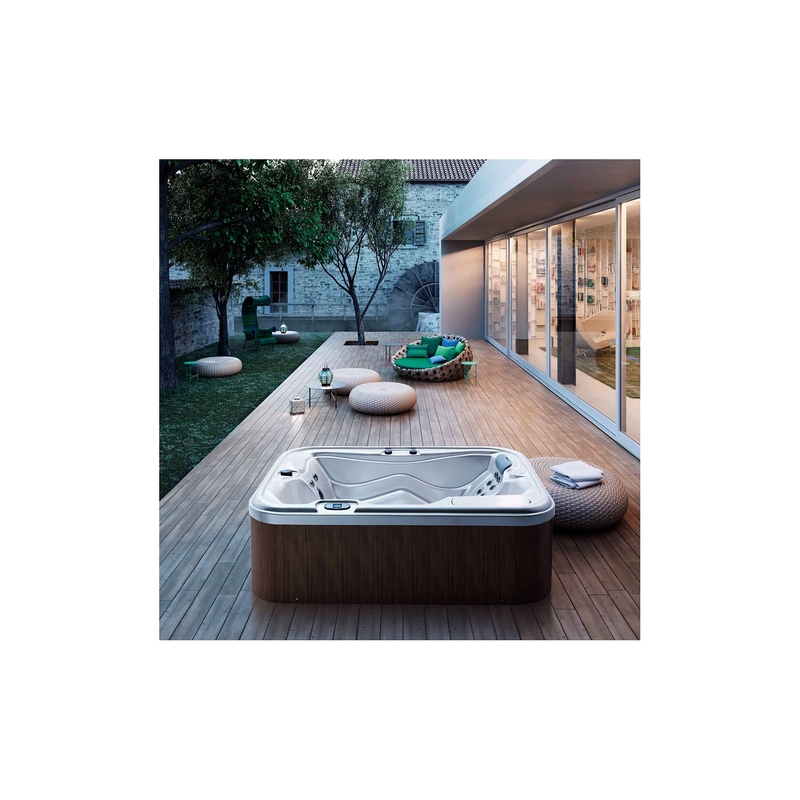 HAFRO CITYLINE PALERMO MINI POOL 218 x 218 x 87 cm, 2 reclining places, 3 sitting places Palermo is a perfect family spa. 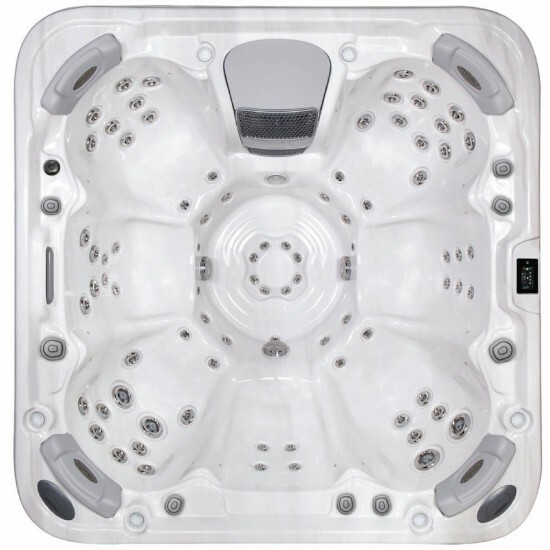 It combines ergonomics and energy-efficiency in one product. 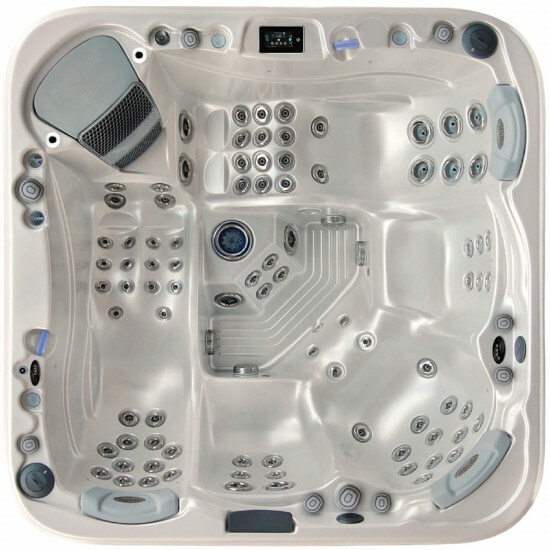 It has 2 reclining places, 1 captain seat, and two regular seats, lighting waterfall two fountain jets, aromatic therapy and a 2.1 hifi system as part of the standard equipment. 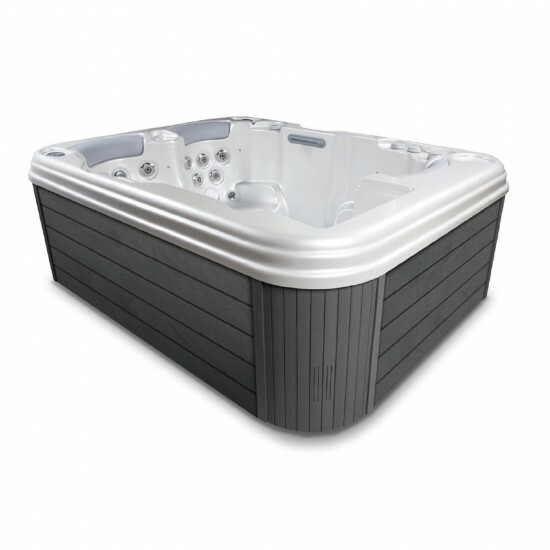 HAFRO PEAKLINE DISCOVERY MINI POOL 218 x 218 x 97 cm, 1 reclining places, 4 sitting places Discovery is ideal for a larger company for an effortless entertainment with its 4 sitting and one reclining places. 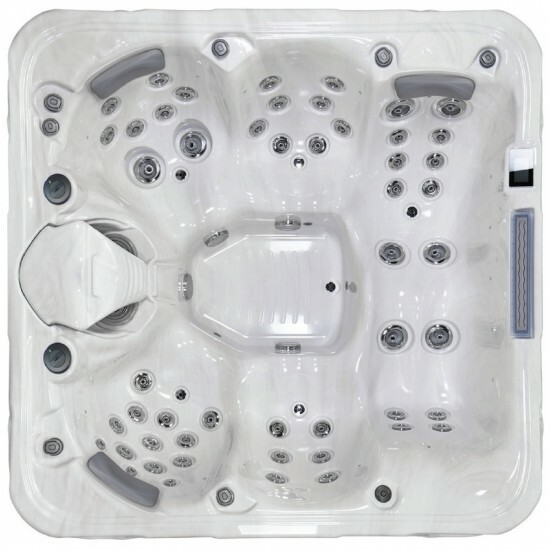 Its exclusive design and improvements make it such an amazing spa that your guests will surely be impressed. 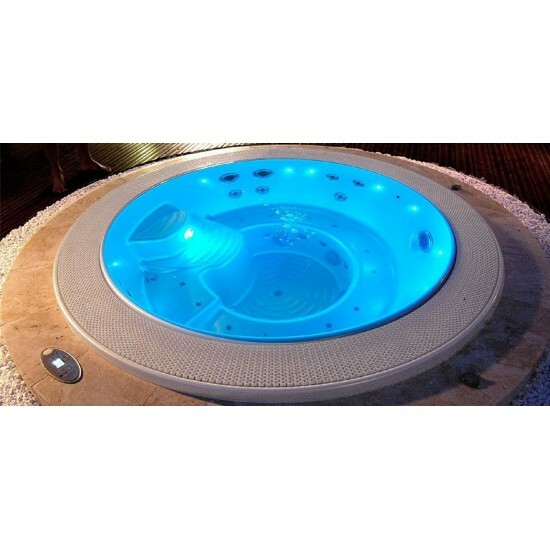 HAFRO PEAKLINE ELBRUS 230 MINI POOL 230 x 230 x 90 cm, 7 sitting places The Elbrus 230 spa’s dimensions can provide room for the ultimate WellDome™ foot massage system. 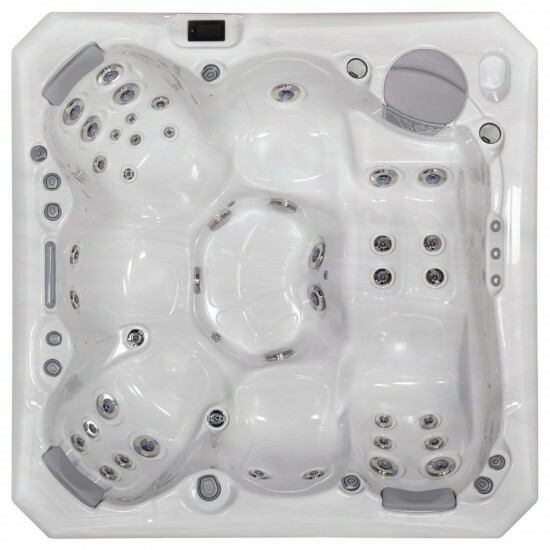 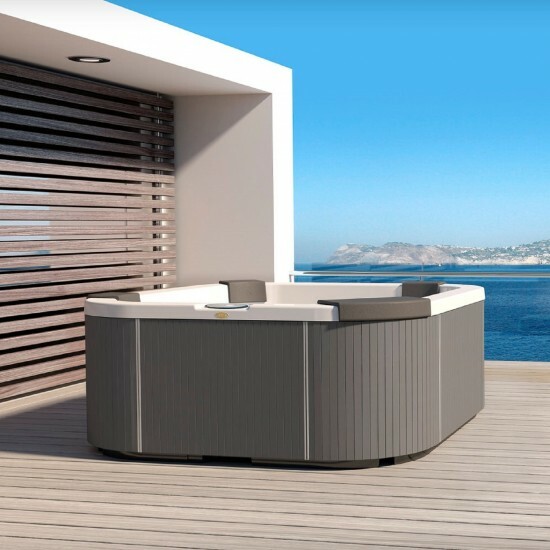 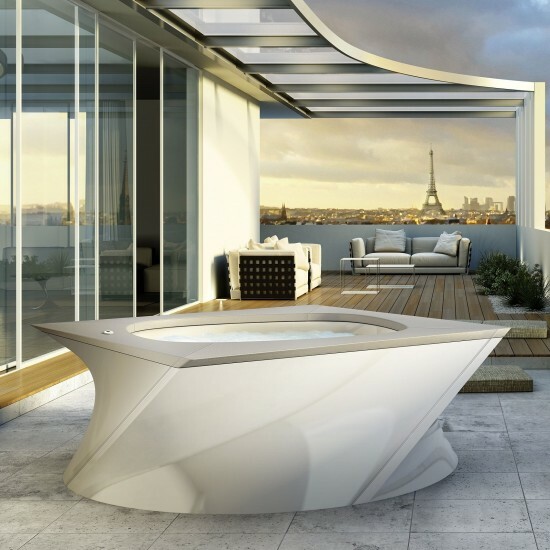 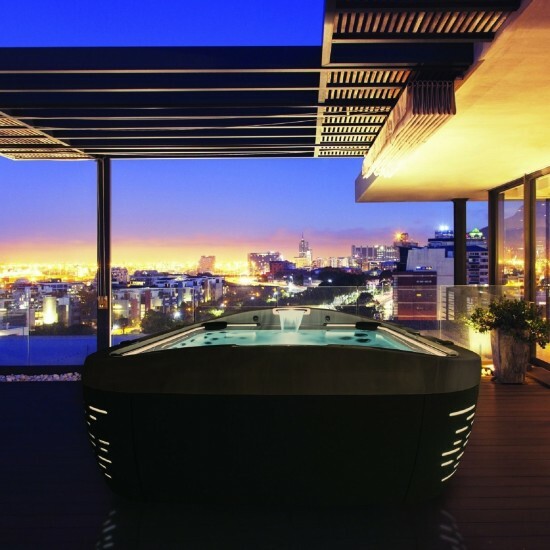 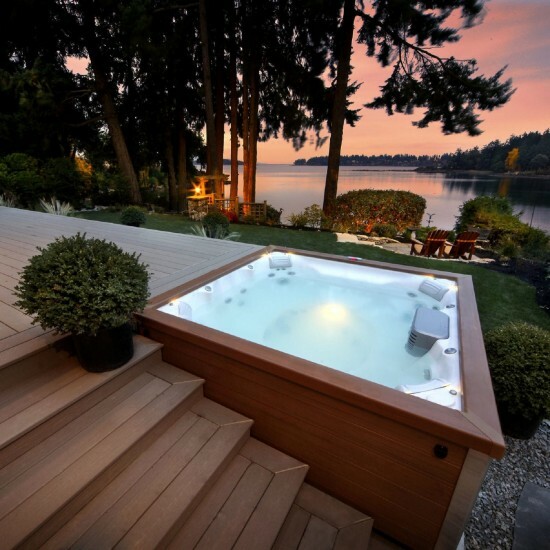 This hot tub also features 78 chrome finished adjustable water jets, AquaSoul™ Pro 2.1 Pop-Up audio system, exclusive chromotherapy LED lighting and lighting waterfall. 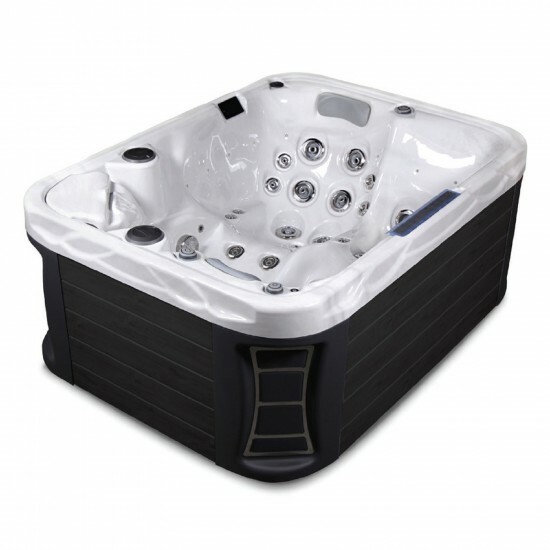 HAFRO PEAKLINE EXPLORER MINI POOL 213 x 160 x 97 cm Explorer is specifically designed for those who would like to connect relaxation with conversation. 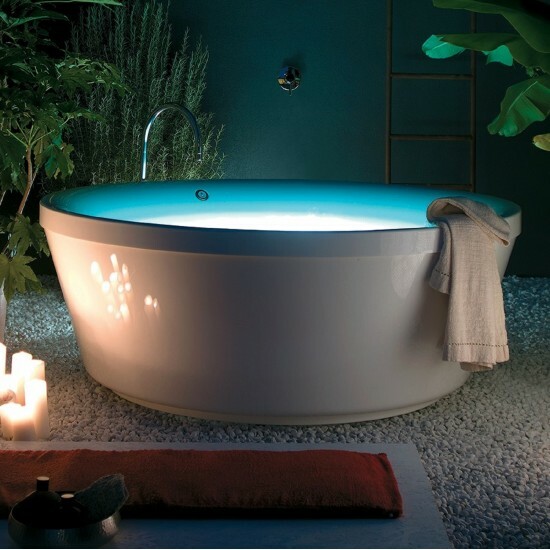 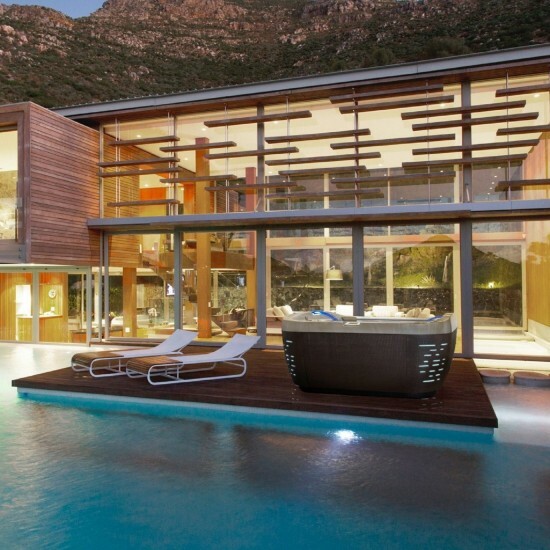 With this spa we wanted to meet these needs. 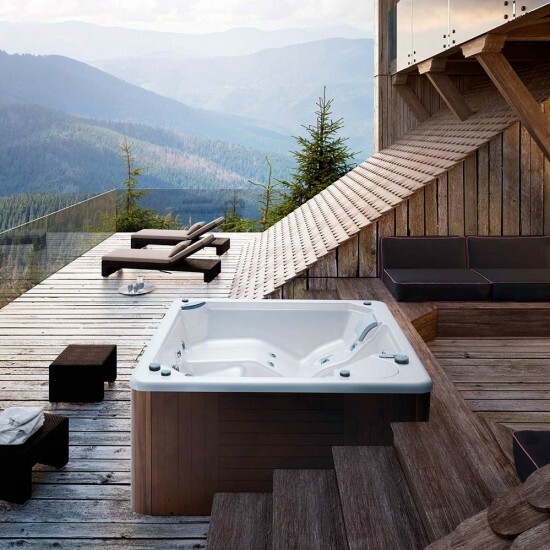 In the opposing reclining places conversation becomes effortless. 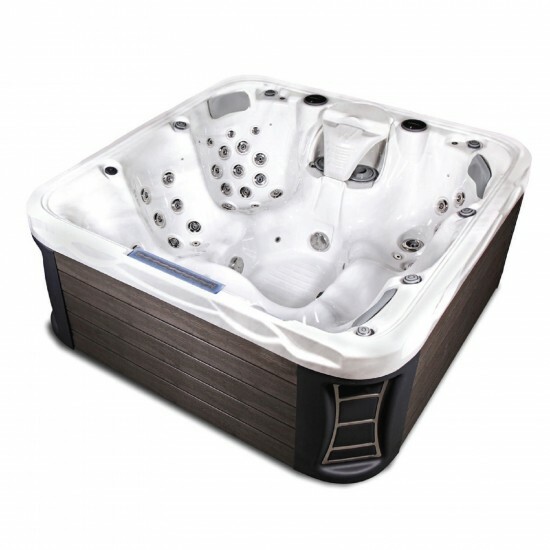 HAFRO PEAKLINE KILIMANJARO MINI POOL 230 x 230 x 94 cm, 1 reclining place, 5 sitting places The Kilimanjaro spa has all the features required of a premium category hot tub: the AquaSoul™ Pro sound system, SmartPhone application with WiFi connection, 3 pcs 3 horsepower massage pumps, 3 pcs paper filters and aromatic therapy.